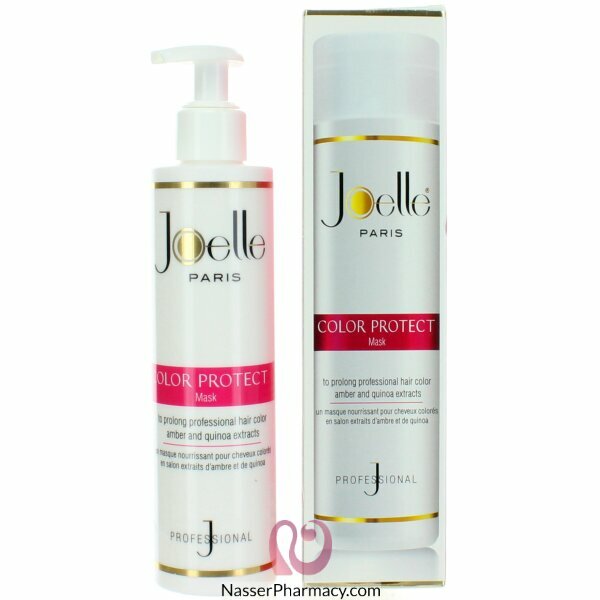 While the shampoo locks the color pigments in, the nourishing mask nurtures and makes it shine more. Revel in dazzling, beautiful hair. Instruction Of Use: Apply a quarter-sized amount to clean, towel-dried hair. Massage through the hair strands. Leave on for 5-10 minutes and rinse thoroughly. Ingredients Aqua (Water), Cetearyl Alcohol, Helianthus Annuus (Sunflower) Seed Oil, Dipalmitoylethyl Hydroxyethylmonium Methosulfate, Mangifera Indica Seed Oil, Diglycerin, Helianthus Annuus (Sunflower) Seed Extract, Chenopodium Quinoa Seed Extract, Amber Extract, Rosmarinus Officinalis (Rosemary) Leaf Extract,amodimethicone, Ceteareth-20, Polyquaternium-37, Ppg-1 Trideceth-6, Parfum (Fragrance), Tocopheryl Acetate, Ethylhexylglycerin, Butylene Glycol, Propylene Glycol,paraffinum Liquidum, Sorbitan Oleate, Tocopherol, Alcohol, Potassium Sorbate, Methylisothiazolinone, Cetrimonium Chloride, Trideceth-12, Cyclotetrasiloxane, Methylalcohol, Sodium Benzoate, Linalool, Ci 14720.